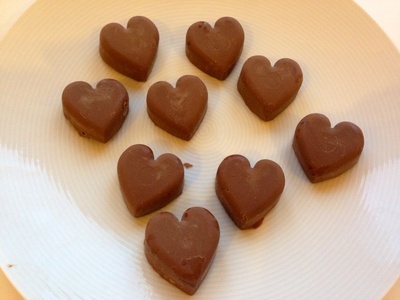 Create some special handmade chocolates for a loved one this Valentine's Day. 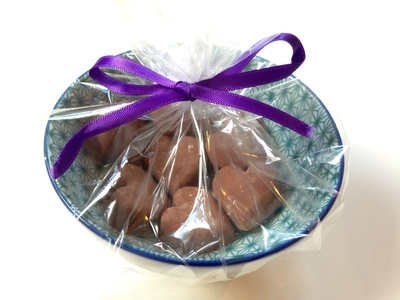 They are surprisingly quick and easy to make and look very special if you package them nicely. 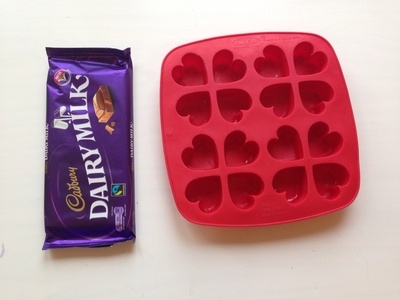 Break the chocolate into chunks and melt gently in microwave, 10 seconds at a time. Be careful not to let the chocolate bubble. 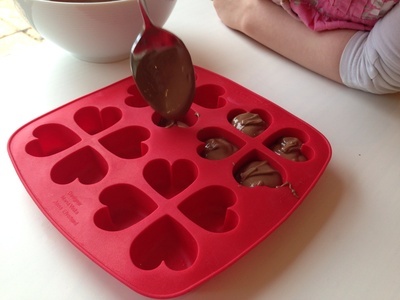 Add a spoonful of oil to the melted chocolate and stir. 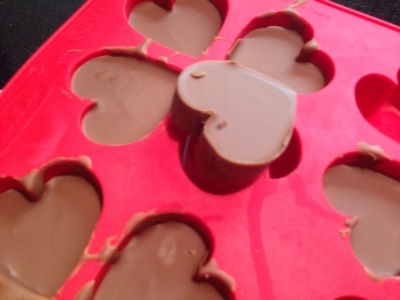 Spoon the melted chocolate into the heart shaped moulds. Tap the tray to let any air bubbles out. Put into the fridge for at least an hour. 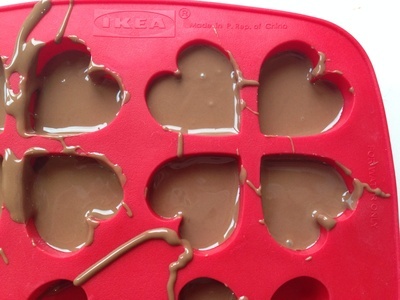 When set, pop the chocolates out of the mould. 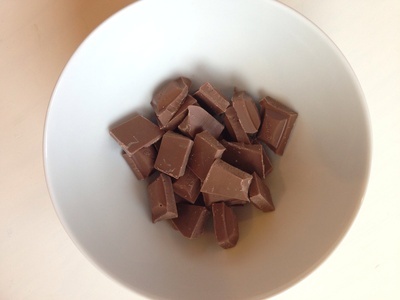 Return the chocolates to the fridge. 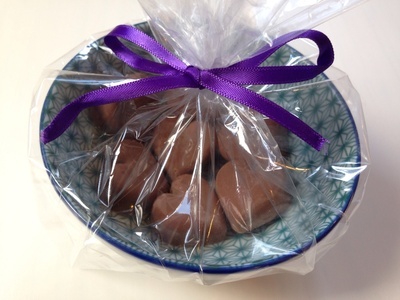 When chilled again, package them in a pretty bowl, cellophane and ribbon. Store in the fridge.